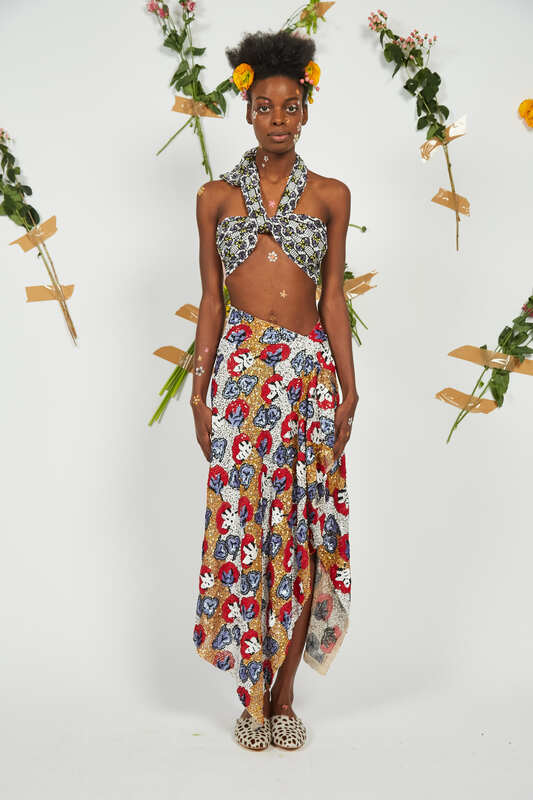 Stepping into the Tata Naka showcase at London Fashion Week is like stepping straight off the continent into Africa. 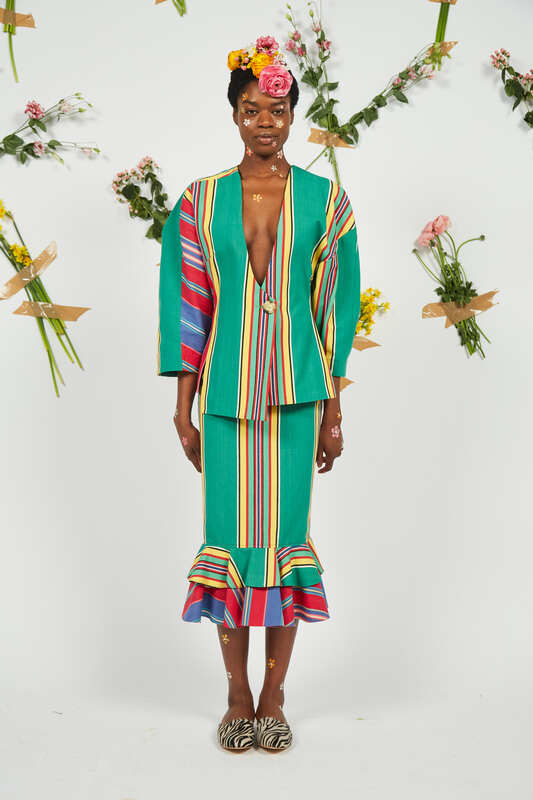 With fresh, coconut water served in an actual coconut on the door, the team behind the brand’s Fashion Week presentation certainly communicated the ethos and vision behind the collection. 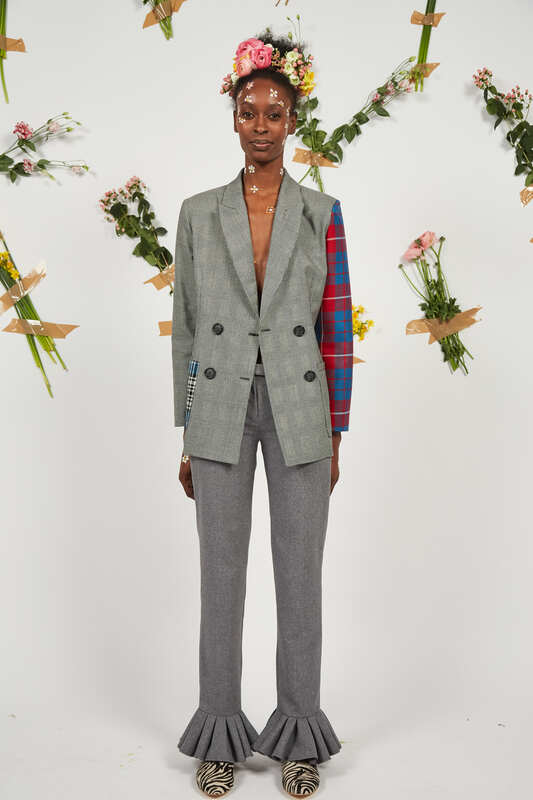 Greeted by dazzling studio lights and a gaggle of floral-embellished, beaming, multi-racial models, the audience were invited to step onto set and take a look at the behind the scenes workings for the Tata Naka AW17 lookbook. 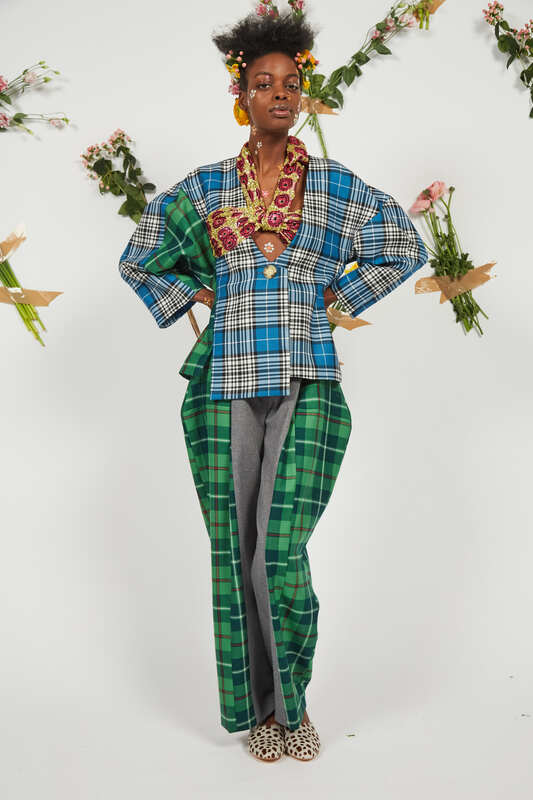 Inspired by tribal Africa with a respectful and decorative nod to femininity the twin-sister-team power-duo, Tamara and Natasha Surguladze, behind the Tata Naka brand . 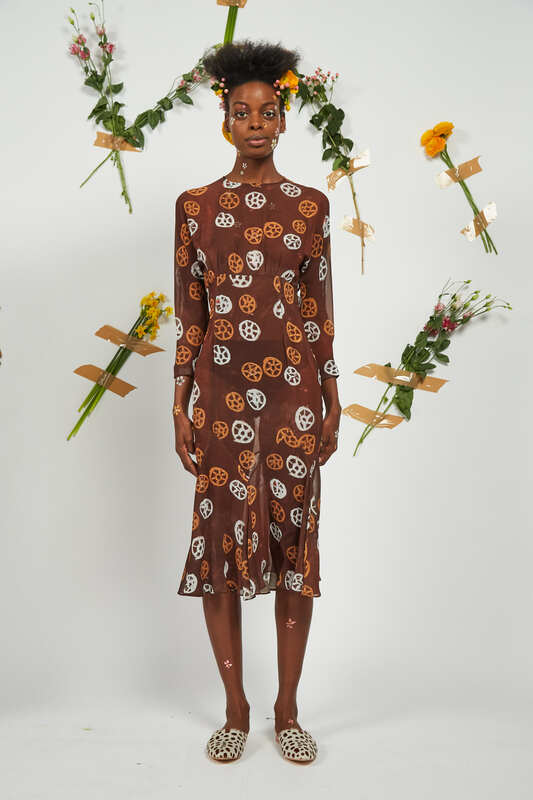 Successfully harnessed the earthy beauty of the African influence alongside the modern digitalisation of quirky prints. 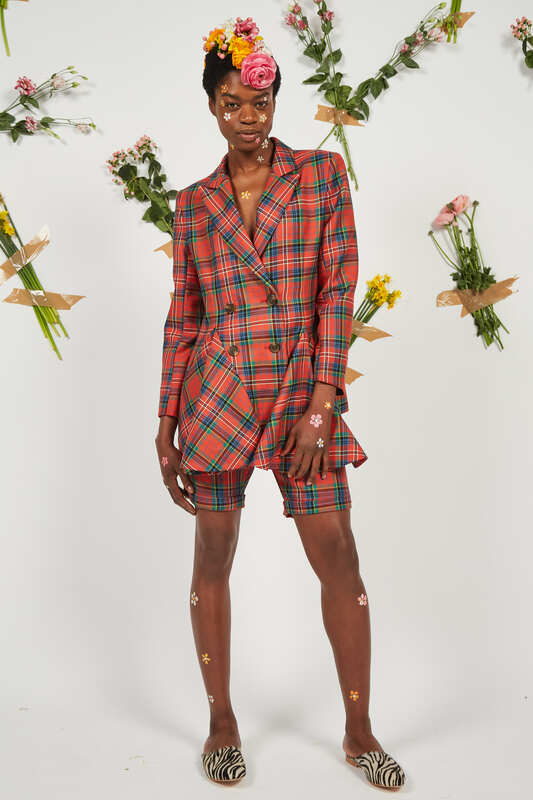 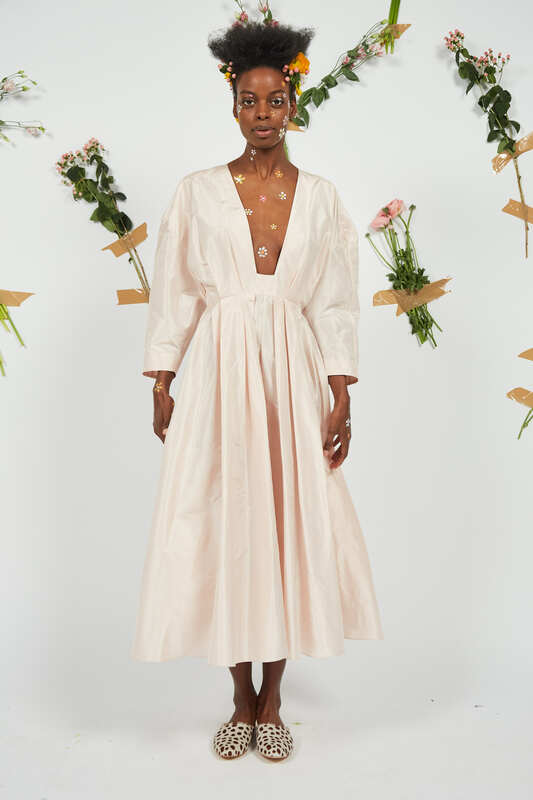 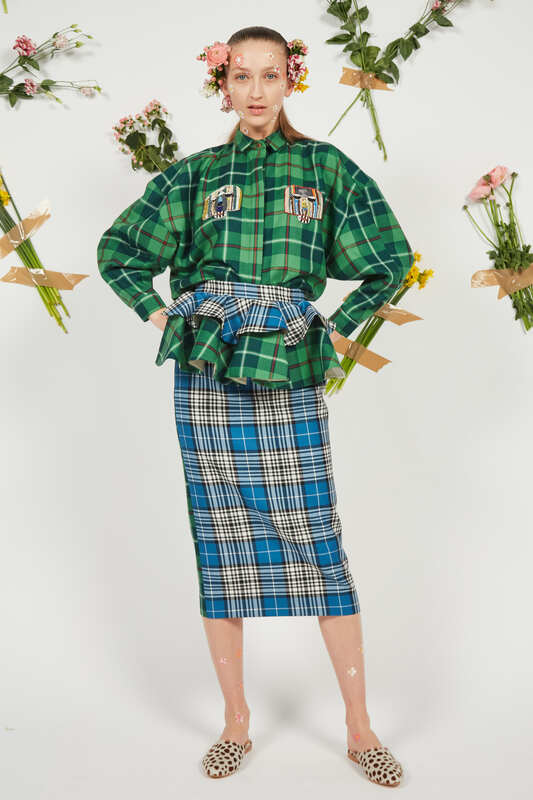 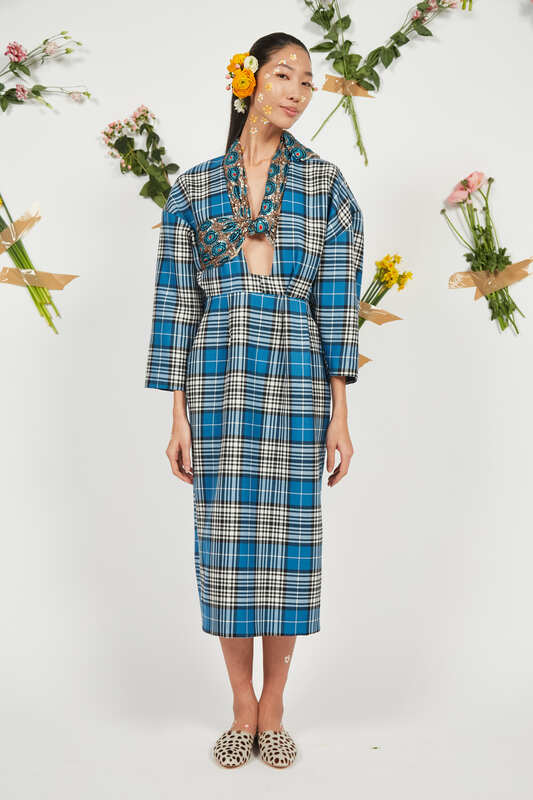 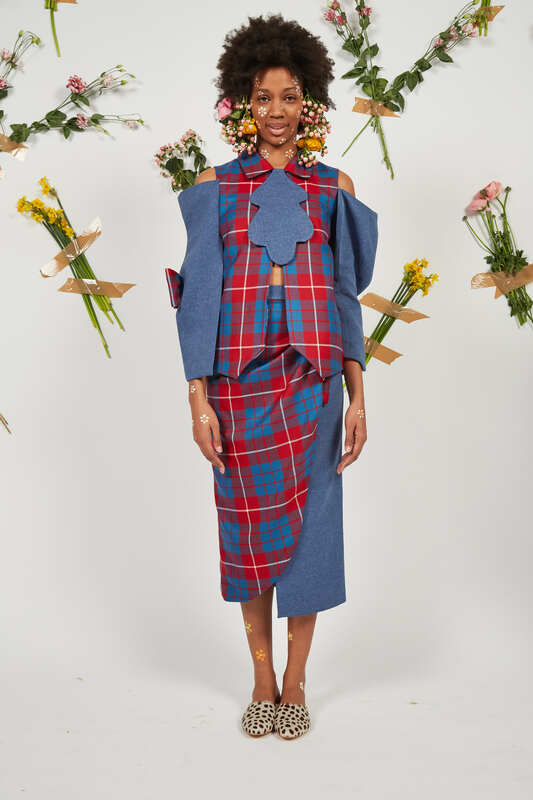 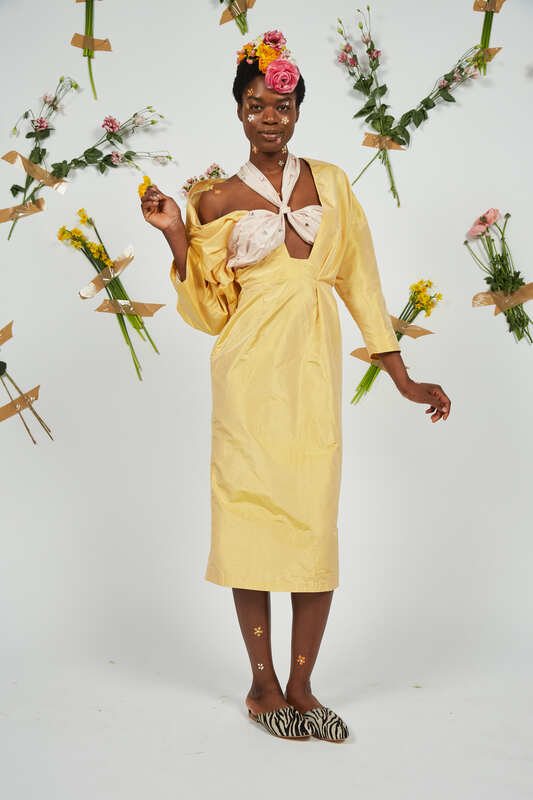 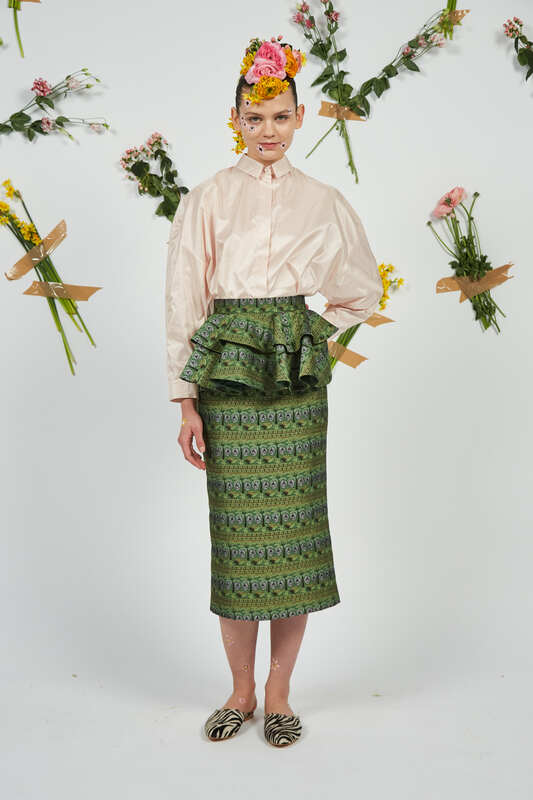 Both graduates of Central Saint Martins, the sister act continue to develop and expand their brand collections and continue to expand on their outputs. 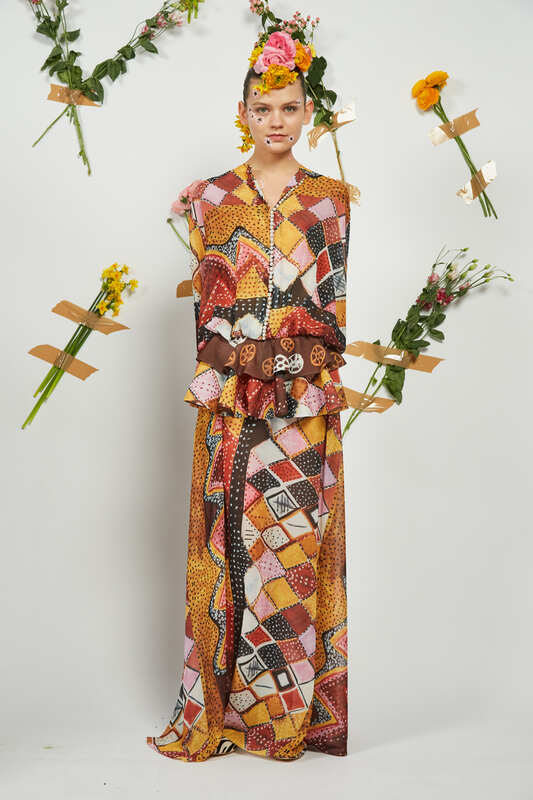 With a natural palette of mineral pigments, flecked with flashes of volcanic rock tones amongst a few jewel-themed brights, the palette pays homage to the important use of colour within traditional, African garments. 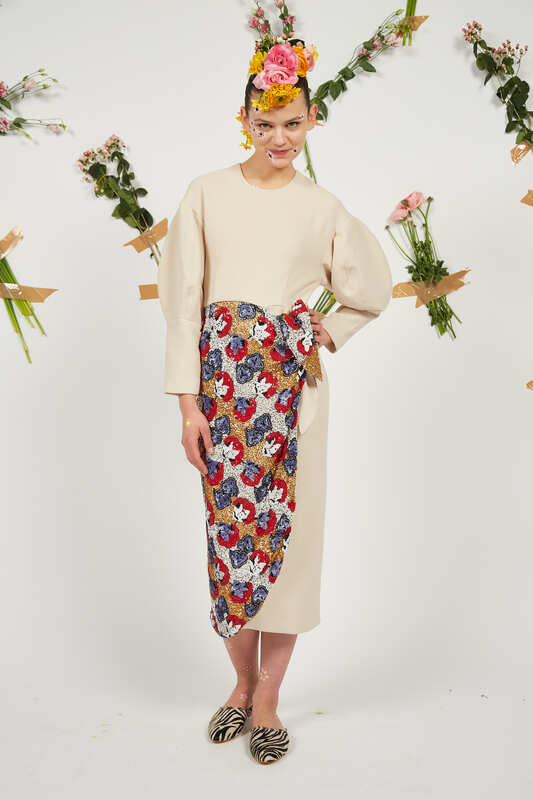 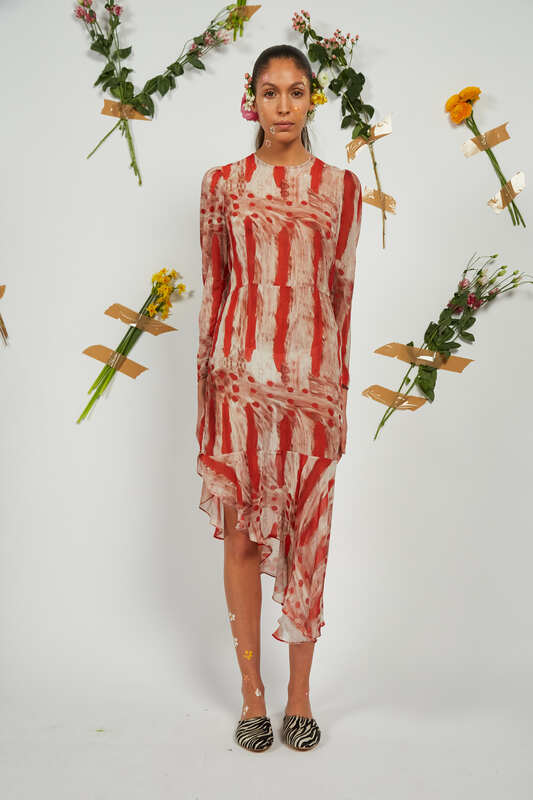 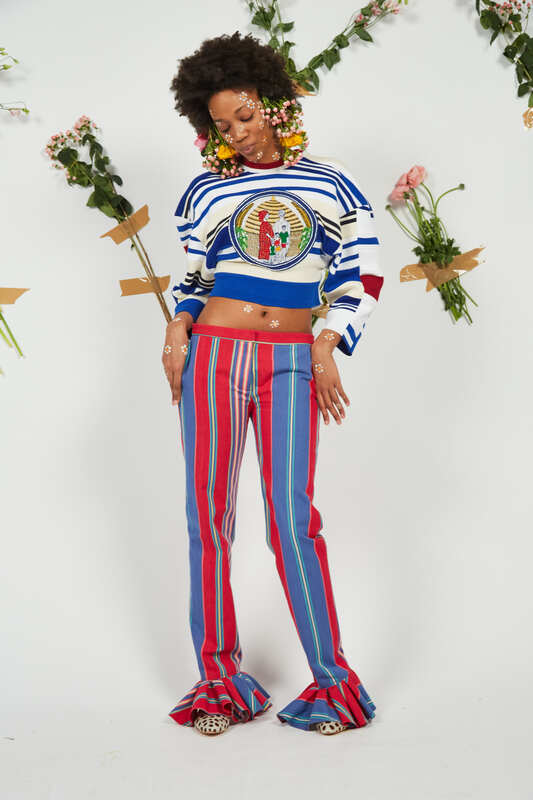 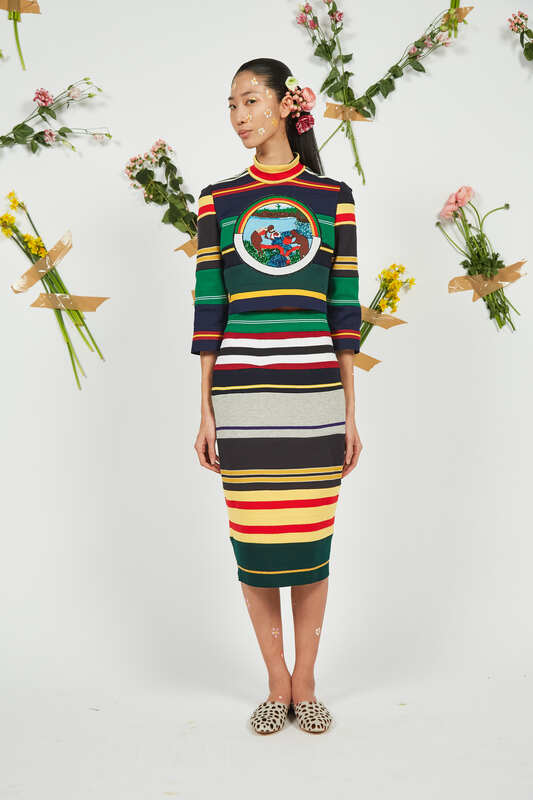 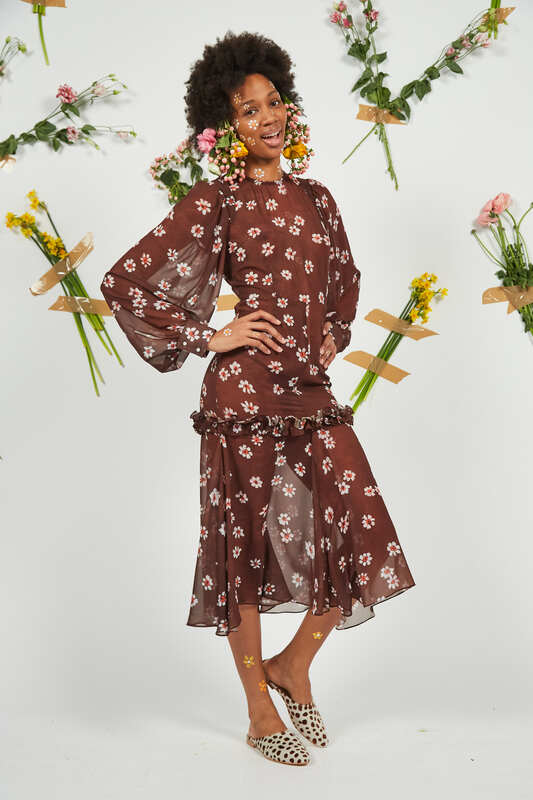 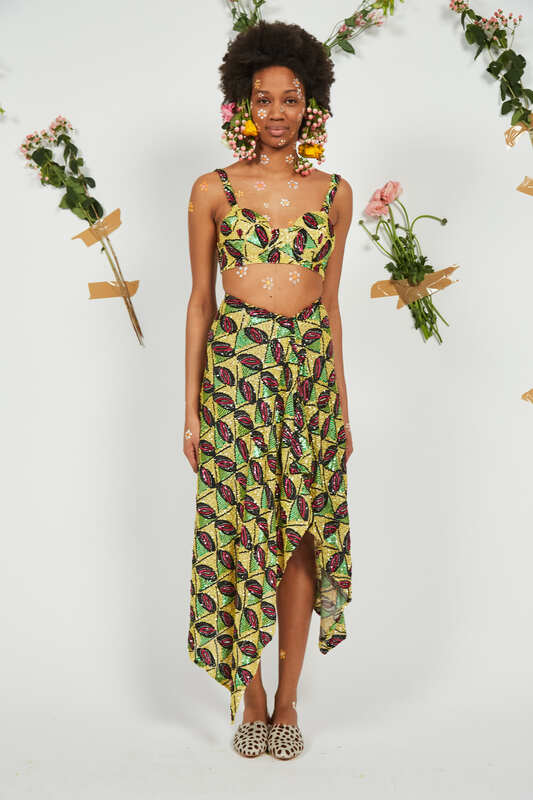 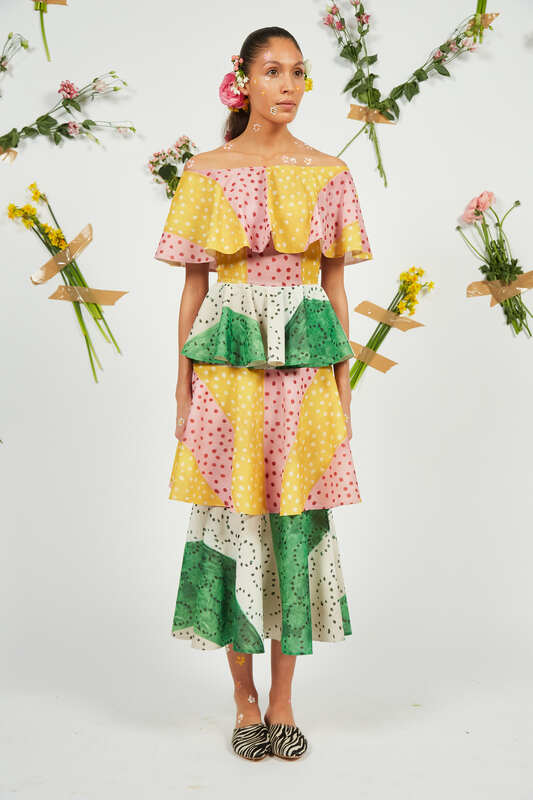 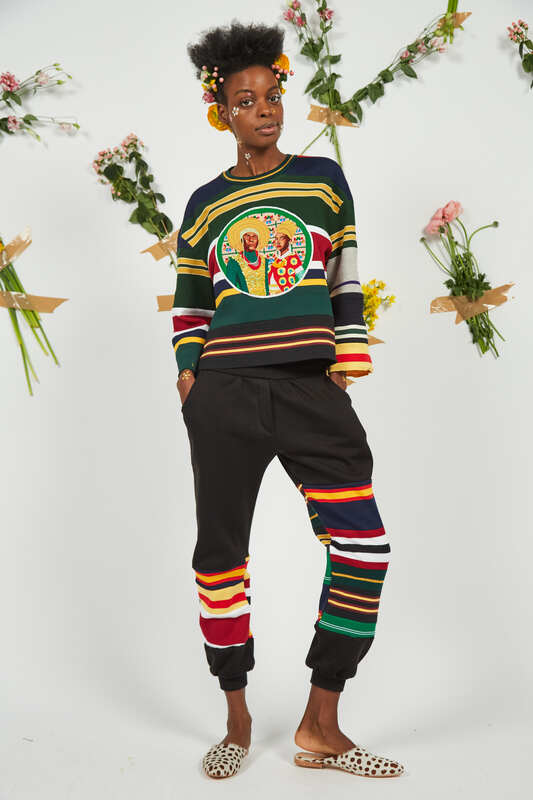 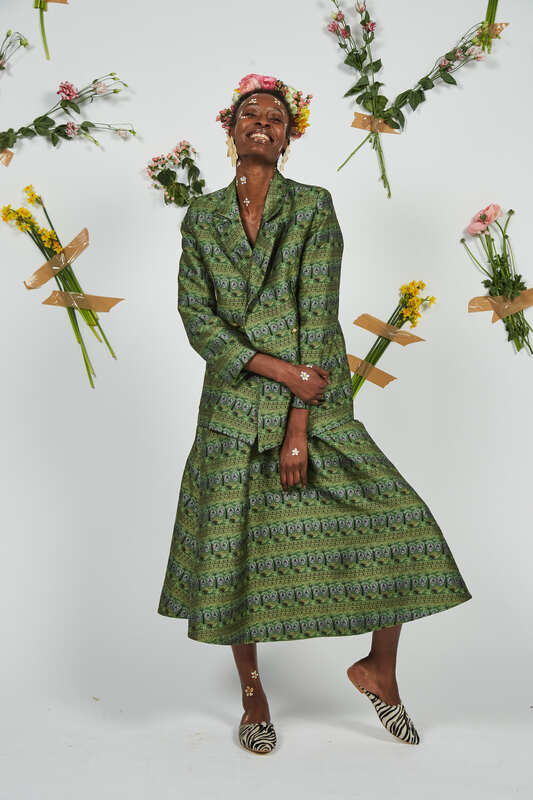 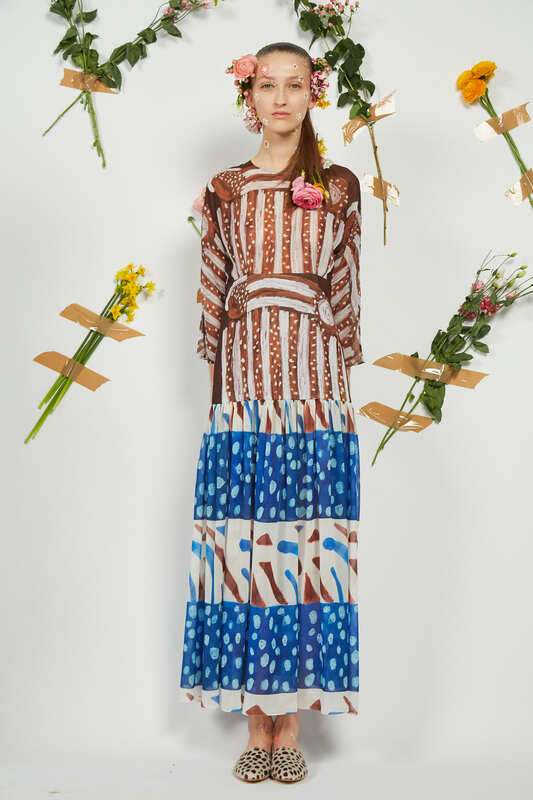 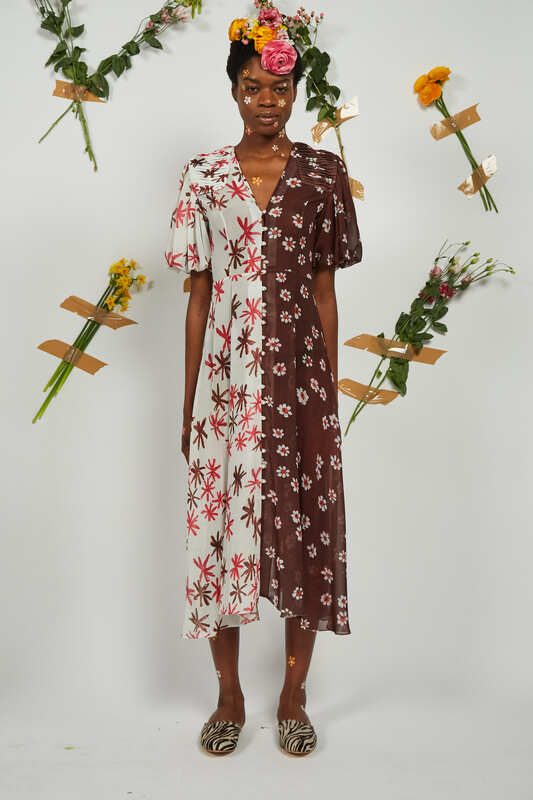 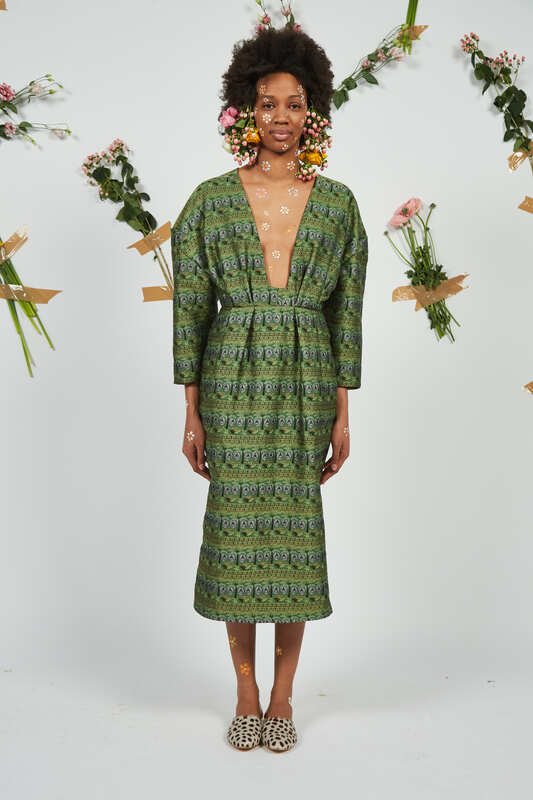 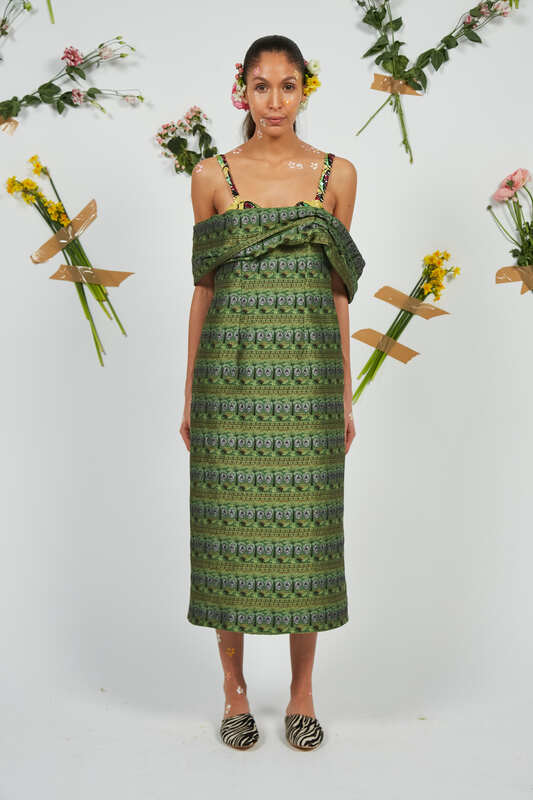 Inspired by wild-flowers and tribal body-art the collection uses the tribal element as a vehicle to translate the contemporary and graphic interpretation of modern, African womenswear. 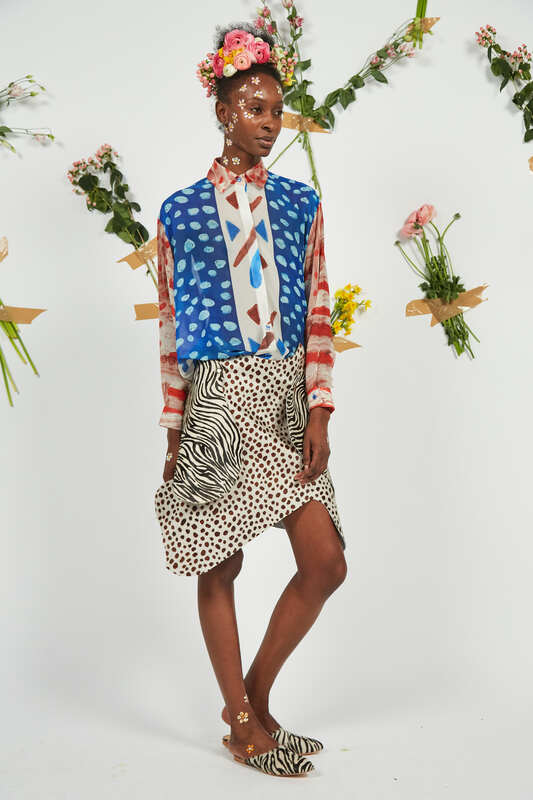 A truly inspiring collection, the brand lightened up the end of fashion week and sent us home with a smile.